bigWOWO updated their post to include the full disclosure of TMM per the family's approval - make sure and read it here. It links to the gofundme campaign which will help pay for the funeral expenses as well as has some new information too. Help out @ this link. I wasn't sure if I should use Keon's name, and it felt strange not to when writing about this because at the end of the day you can't separate them - so I'm glad people get to see that. 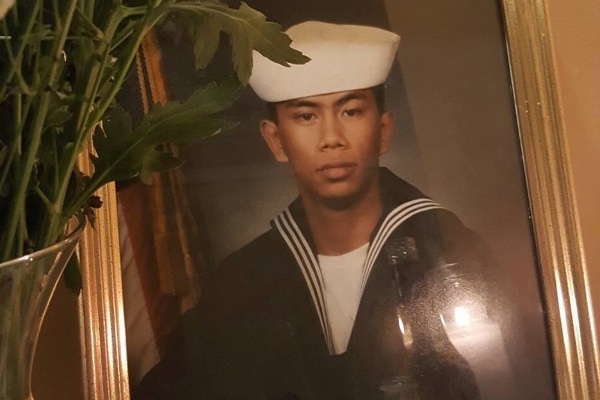 Keon Enoy Munedouang (August 17, 1980 - May 4, 2016) was a Navy veteran and a writer who lost his life last week at the age of 35. He immigrated as a child from Laos as a refugee. Keon enlisted as a young man in the U.S. Navy, achieving the rank of SK2. Upon receiving his honorable discharge, he became a writer and an activist, connecting with others through his spoken and written words. As a writer and activist, Keon's influence was huge. He was known among his peers for his sharp wit, courage, and sensitivity to the less fortunate. He always stood up for those who had no voice. His work inspired a fellow writer and activist to organize the Banana Conference, which eventually became V3Con, the largest Asian American social media conference in the world. Keon leaves behind his mother, three sisters, two nieces, one nephew, and a community of friends. As a veteran who dutifully protected his country and served with honor, Keon was eligible for a full military burial. However, his family chose to honor him with a traditional Buddhist ceremony followed by cremation, which is in keeping with Lao customs. Keon was loved by all. He was generous with his time and money and never asked for anything in return. We, Keon's family and friends, ask your help in celebrating Keon's short but amazing life. Keon was always a hero to those around him, standing up for the oppressed, the underserved, and the forgotten. We wish to send him off with a celebration that recognizes him for who he was. All funds will go to the family to assist with funeral expenses.